Done My Way is a campaign with a collection of resources from the Spokane Regional Health District, available at donemyway.org. It includes information on local support groups, tobacco cessation products like gum and patches, and online coaching to help people quit. Gene Aikens had his first cigarette in 1965, lying on a couch at home with the girl he liked as the pair listened to “Welcome Home” by Walter Jackson over and over. Aikens was born and raised in Chicago’s housing projects, and said advertising for cigarettes was all around him growing up. Now 68, Aikens is the new face of the Spokane Regional Health District’s “Done My Way” campaign to help people quit smoking. He’s the latest of five people to be interviewed for short videos describing how and why they quit. He quit six years ago, during the 2012 Super Bowl, and said watching the Seattle Seahawks make the Super Bowl run the following season helped him stick with it. “I got tested that next year on that last play,” he said, referring to the Seahawks’ 2014 Super Bowl loss to the New England Patriots. Aikens is part of an effort to reach out to the black community of Spokane with resources to help quit along with information about the way the tobacco industry has targeted African-Americans. 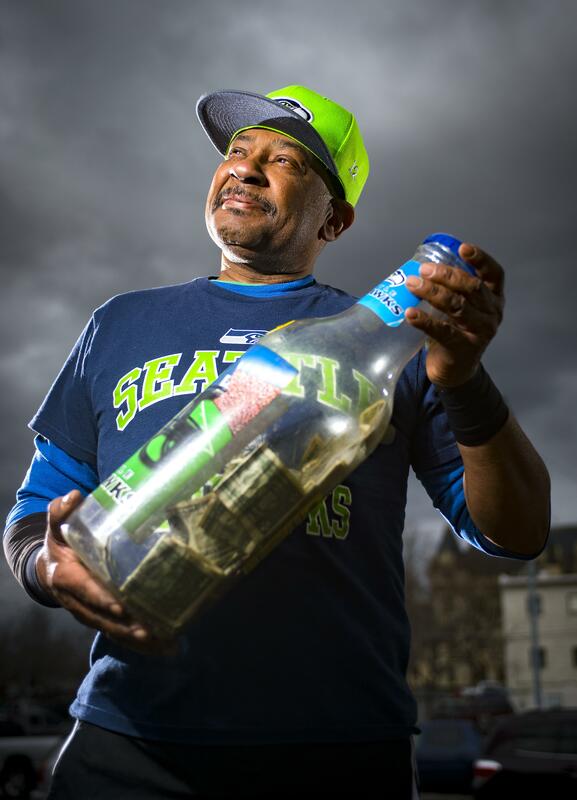 The first year after he quit, he put $8.25 – the price of a pack of Kools – in a large Seahawks souvenir bottle every day. By the end of the year, he’d saved up almost $3,000, which he was able to spend on clothes, shoes, a suit and small treats for himself. “You feel better afterwards, especially financially,” he said. The outreach started when the health district brought Phillip Gardiner, a researcher with the University of California’s Tobacco Related Disease Research Program, to Spokane last year for a talk about menthol cigarettes. Internal documents from RJ Reynolds, the maker of Salem, Vintage and Camel cigarettes, detail how the company created special displays to corner stores in black neighborhoods and made an effort to push menthols. According to a 1988 company document, 70 percent of black smokers were choosing menthols at the time. Both federally and locally, a higher percentage of African-Americans are smokers than Americans in nearly any other ethnic group. A 2015 health district survey found 33 percent of African-Americans and 33 percent of American Indians smoked, compared with 17 percent of whites, 9 percent of Asians and 5 percent of Latinos. Black Americans also have the greatest health burden of diseases related to tobacco use. And thanks to decades of targeted marketing, they’re much more likely to smoke menthols, the only type of flavored cigarette not banned under federal law. Sandy Williams, the editor of Black Lens, attended the talk and was moved to share the information. “I was just stunned by the statistics he was sharing. I didn’t know about them,” she said. She helped organize a screening of “Black Lives, Black Lungs,” a 15-minute documentary about the tobacco industry’s targeting of African-Americans, at Morningstar Baptist Church last fall. Aikens was at the screening, and said much of the information there resonated with him. He remembered tobacco companies’ representatives driving around his all-black neighborhood, handing out free cigarettes. As a teenager, his family was poor and often smoked their own cigarette butts when money was tight. “We didn’t even realize how addicted we were,” he said. Tobacco companies were also among the first to feature black models in ads and to hire black executives at a time when segregation was the law of the land in much of the United States. It was an intentional targeting strategy, and it worked. Tobacco companies also funded scholarships for black students and made donations to the NAACP, members of the Congressional Black Caucus and other black leadership groups for decades. The money was “for three specific business reasons: to increase African American tobacco use, to use African Americans as a frontline force to defend industry policy positions, and to defuse tobacco control efforts,” according to a study of internal company documents published in the journal Tobacco Control in 2002. Williams has never smoked, but said what she learned made her angry. She thought sharing information about the deliberate targeting of black Americans might resonate with smokers in a way that “cigarettes are bad for you” doesn’t. She thought tapping into smoking as a political issue might inspire more people to quit. “Do you know what they’ve done to you? Do you know what they’re trying to do to you? It was about making it more of a political issue than just a health issue,” she said. She’s been running features in the Black Lens about health disparities, and the health district has run ads for its Done My Way campaign. The first ad with Aikens will run in the April issue. Done My Way has signed on new sponsors, including Molina Healthcare, Providence and Inland Northwest Health Services, in addition to the original sponsor, Community Health Association of Spokane. The health district plans to run TV ads in the spring and again in the fall leading up to the Great American Smokeout, said tobacco prevention coordinator Paige McGowan. Aikens said the first three months of quitting were the hardest, especially when he was driving to his job as a Safeway checker on the South Hill. He used mint chewing gum in the morning and air-popped popcorn as a snack to keep his hands and mouth busy. And the “Welcome Home” record? He still listens to it, just without the cigarettes. Published: March 22, 2018, 6 a.m.